October 15, 2013 by Ken Ward Jr. The story of the United Mine Workers of America is the story of the American labor movement as a whole. The Mine Workers were once the single most important union in the United States: the union that broke from a stodgy labor federation in 1935 to devote its resources to organizing the nation’s factories, the union that built such dynamos as the United Auto Workers and the Steelworkers; the union that sunk so much money into Franklin Roosevelt’s 1936 campaign that FDR didn’t raise a peep when striking auto workers occupied General Motors’ Flint, Michigan, factories and didn’t come out until GM had recognized their union; the union that had the strength and cojones to strike during World War II’s strike ban; the union that transformed industrial America. Today, their membership shrunk to perhaps just 10 percent of their peak strength numbers, the Mine Workers, like the labor movement generally, have a past that quite outshines their present. Their retirees outnumber their current members, and they would outnumber them by an even larger margin if coal mining, with its black lung and emphysema, didn’t shorten so many miners’ lives. Clustered in Appalachia, the union, like its industry, sometimes seems to inhabit a land that time forgot. And yet, for all that the Mine Workers can seem to epitomize yesterday’s news, the union has just waged a brilliant and innovative campaign that has ended in a stunning victory. Last week, the Mine Workers persuaded a company that had gone into bankruptcy, and whose plan to break its union contracts and end its pension and health-care obligations to retirees had been approved by a federal judge, to honor its contracts and pay its retirees after all. This isn’t how bankruptcy proceedings usually end; workers and retirees more commonly finish out of the money. But the Mine Workers—combining the old-time class-war religion of the Appalachian hollows with a new-age campaign on social media—came through for both their members and their retirees. Its retirees deluged the New York Court with petitions to change the venue to a city with at least some presence of actual workers and retirees, and the court concurred, transferring the case to St. Louis. 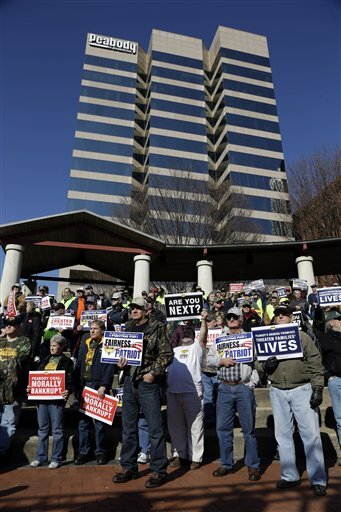 Miners and retirees rallied and marched in St. Louis (where Peabody is headquartered), in West Virginia and in Kentucky, demanding that Peabody assume the obligations it had sloughed off. 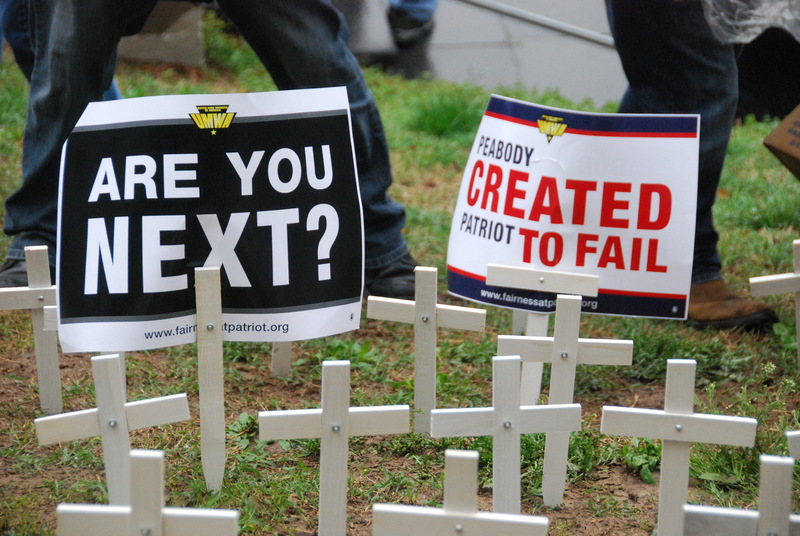 Despite their entreaties, a federal bankruptcy judge in St. Louis granted Patriot’s bankruptcy petition and declined to compel Peabody to re-assume its responsibilities. The Mine Workers refused to admit defeat. They mounted steadily larger demonstrations in the coal-mining regions where Peabody was a major employer, in which the indignant testimony of visibly and audibly short-of-breath retirees proved as irresistible to local television news crews as it was a complete nightmare for Peabody. The miners reached outside their ranks—something that John L. Lewis, their legendary leader from the 1920s through the 1950s, would never have considered—to enlist such civil rights groups as the NAACP as allies and to persuade sympathetic clergy to preach the gospel against Peabody from pulpits across the Bible belt. They worked the media, turning up both sympathetic retirees and academic studies to help reporters dramatize and elucidate a story of Dickensian moral clarity. They reached out to campuses and established a Facebook page that up to 100,000 people visited daily. UMW officials, though, are still left with not nearly enough funding for Patriot retiree health-care benefits beyond perhaps 2017, depending on what those benefits end up costing. The union remains in negotiations to somehow get Arch Coal to come up with more money to fund benefits for Patriot miners who used to work for Arch, but the union also is focused on pushing federal legislation to resolve the problem. Arch Coal, also based in St. Louis, buried its involvement in the new Patriot Coal developments in a news release that focused on its acquisition — from Patriot — of additional coal reserves adjacent to Arch’s new Leer Mine, an underground operation in Taylor County. Arch noted that it recently won a dismissal from U.S. District Judge Joseph R. Goodwin of a class-action lawsuit seeking payment for UMW retiree health care, but said the company continues to talk with the union. “We have put forth a good-faith effort to the UMW for a settlement that would resolve all pending and potential legal claims brought by the UMW, and we are in discussions with them on a potential resolution,” said Robert G. Johnes, Arch’s senior vice president and general counsel. Part of Patriot’s new path, Hatfield said, is that it will continue as a privately held company. … Equity that was formerly traded as Patriot stock will have zero value and be eliminated, Hatfield said. New stock will be issued to those that have invested in the reorganized Patriot. The company is shooting to exit bankruptcy before the end of the year, at which point it will focus on realigning itself in a way that Hatfield believes will be a model for how all coal companies should operate in current markets, particularly in struggling Central Appalachia. “It may seem counterintuitive, but we’re shutting in Central Appalachia thermal [coal production] and increasing production in our Illinois Basin operation at Highland, as well as increasing production at our Wells complex and our Hobet operations,” Hatfield said. Hatfield said other operators should take notice. Hatfield expects Patriot’s participation in thermal coal markets to continue to decline while its met coal focus will continue to grow. He said he does not expect a major shift in the locations where currently Patriot operates — Central Appalachia, Northern Appalachia and the Illinois Basin. In a letter written to employees, Hatfield expressed that he was concerned about Patriot’s safety performance. He did not elaborate on those concerns in the letter. However, he said a “culmination” of events that date back to the beginning of the bankruptcy process have seemingly decreased the level of safety at Patriot’s mines. Hatfield speculated that miners worried about their jobs or other distractions related to the bankruptcy might have played a role. The two fatal accidents noted by Hatfield include a March death at Patriot’s Peerless Rachel mine in Boone County, W.Va., and a February accident at the company’s Blue Creek preparation plant, also in West Virginia. It’s worth mentioning that Patriot Coal was cited in both of those deaths (see here and here) with violations that state and federal inspectors said led to the accidents. Those included inadequate training of workers, improper equipment, and a lack of preventative maintenance.